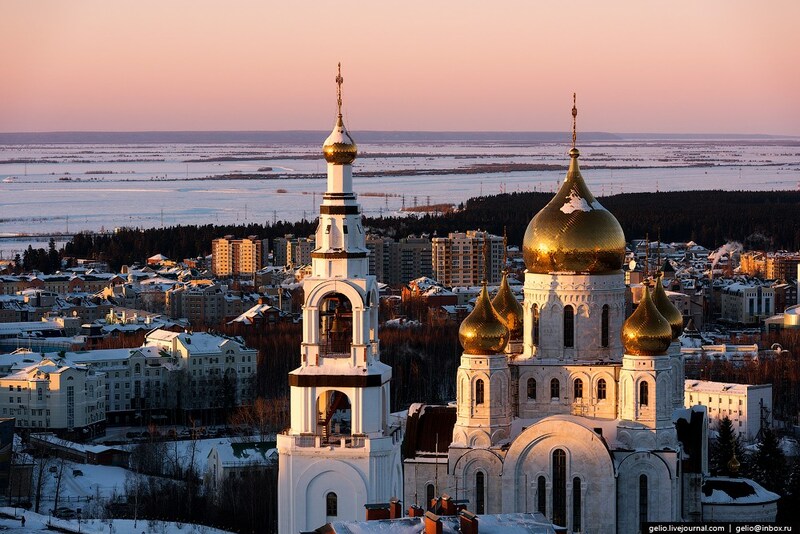 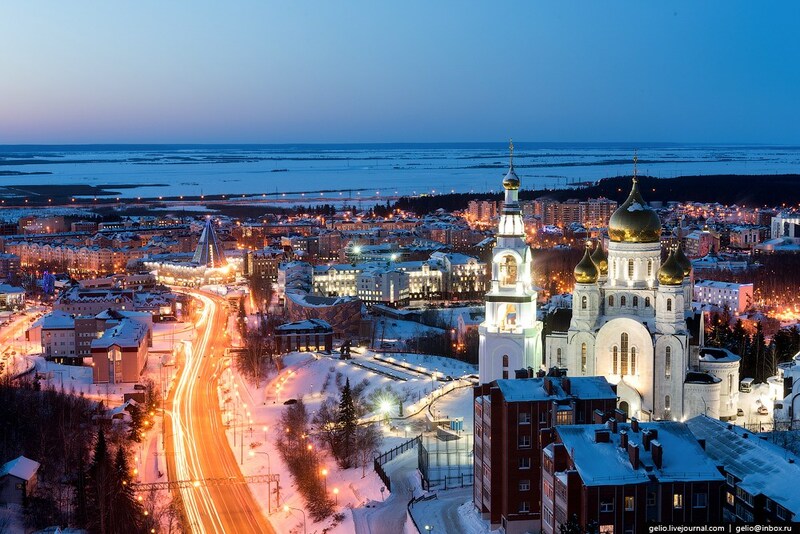 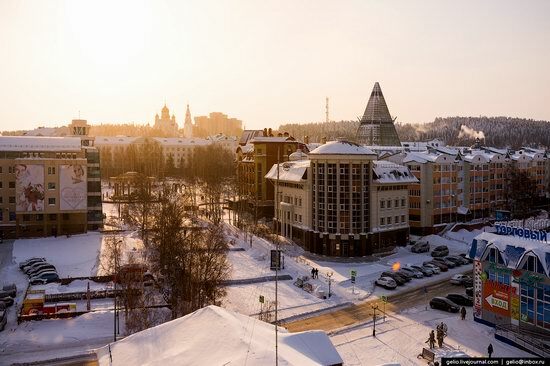 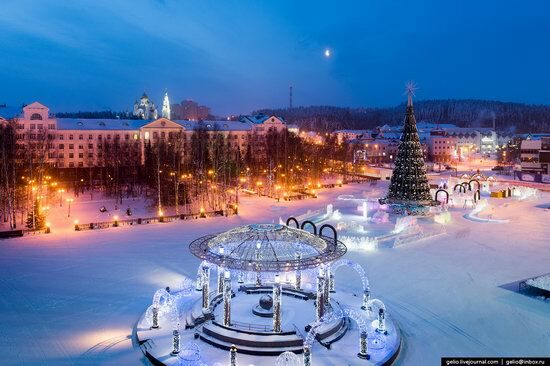 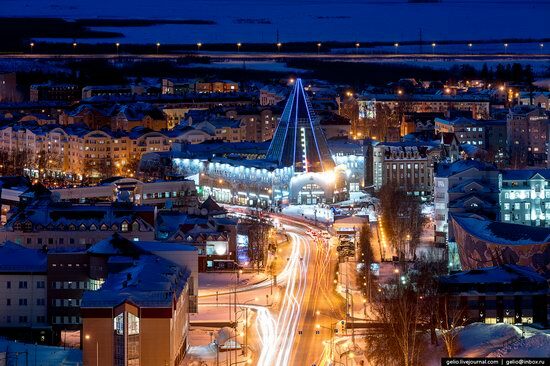 Khanty-Mansiysk, the capital of Khanty-Mansi autonomous okrug – Yugra, is located on the territory of the West Siberian Plain, on the right bank of the Irtysh River, 20 kilometers from the confluence with the Ob River; in the natural area of the taiga. 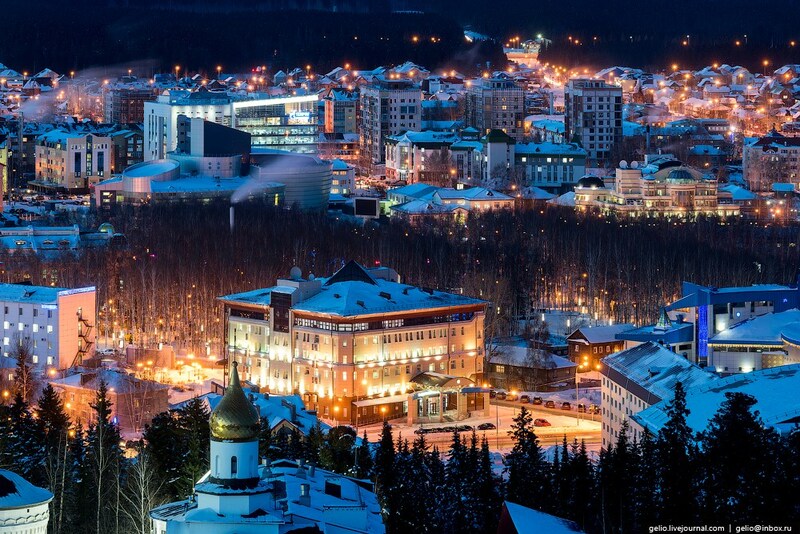 Yugra is the main oil and natural gas region of Russia and one of the largest oil producing regions in the world. Photos by: Slava Stepanov. 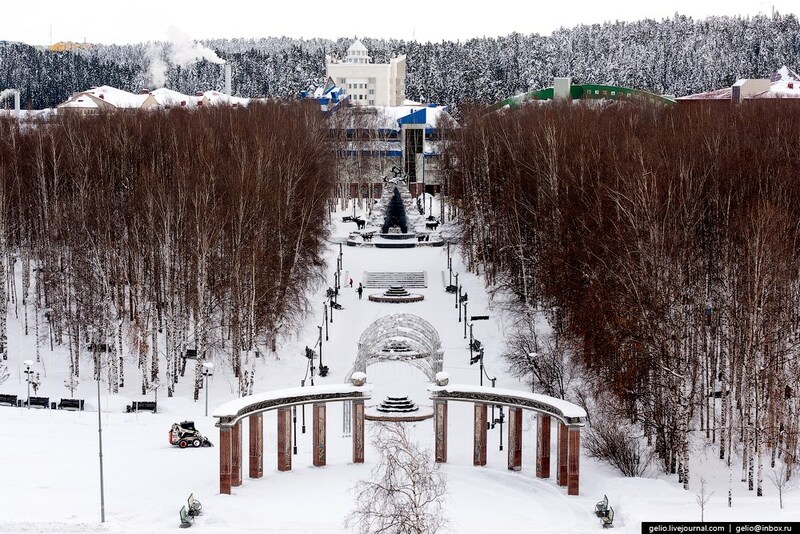 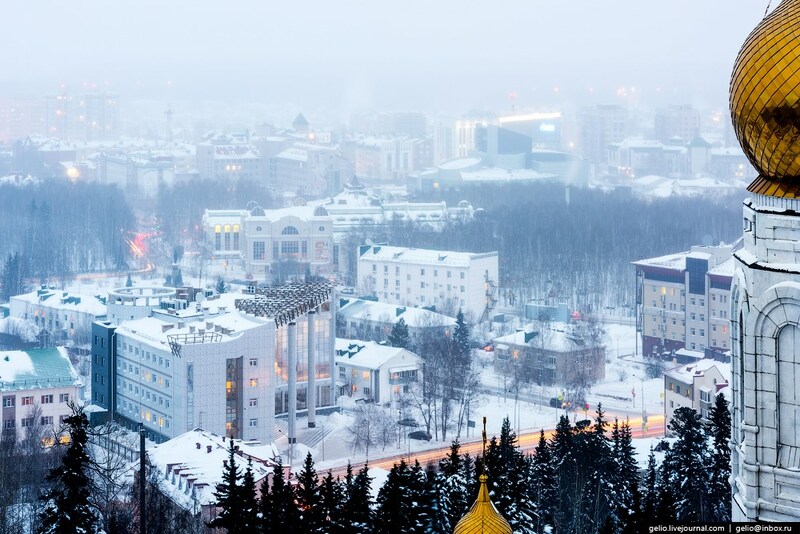 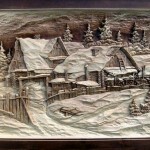 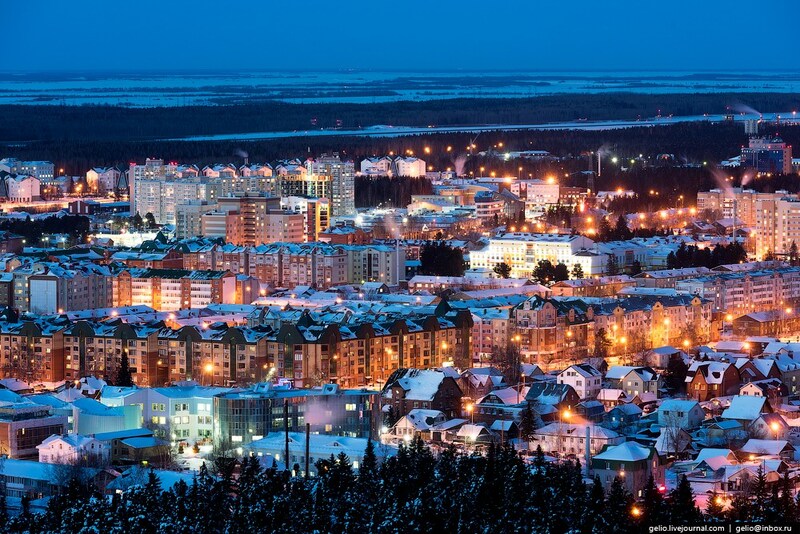 Khanty-Mansiysk is a compact town with a population of about 95 thousand people. 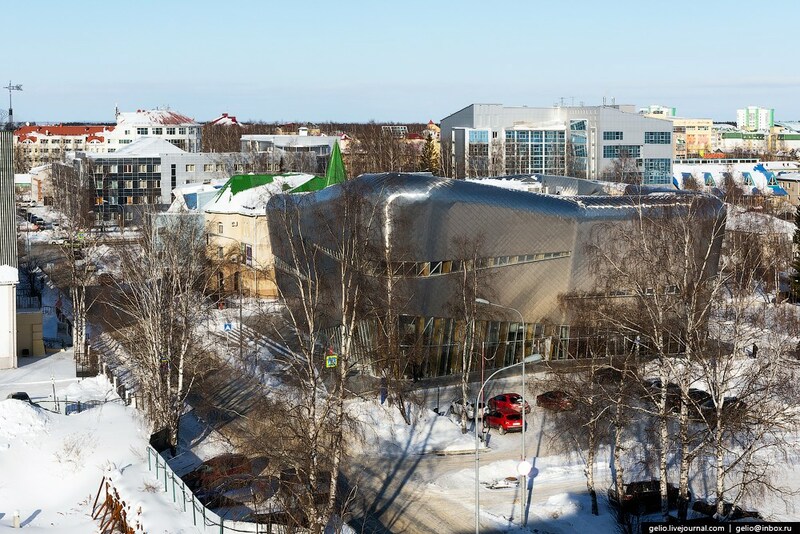 The central square of Khanty-Mansiysk with the shopping and business center “Gostiny Dvor” built in the form of a stylized chum (traditional dwelling of the reindeer herders – a conical hut made of poles). Opened in 2006, this shopping center has become one of the symbols of Khanty-Mansiysk, the center of trade and business life of the town. The pedestrian section of Karl Marx Street. 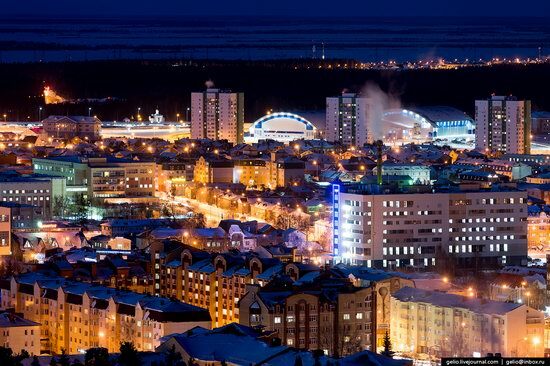 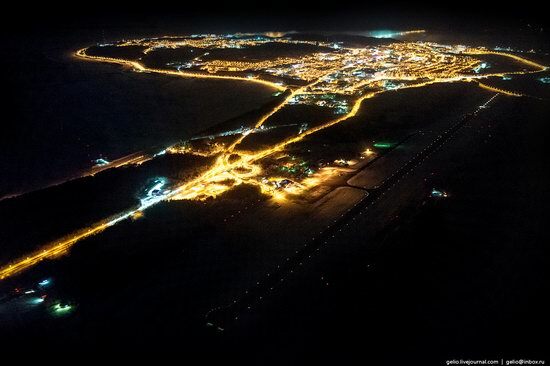 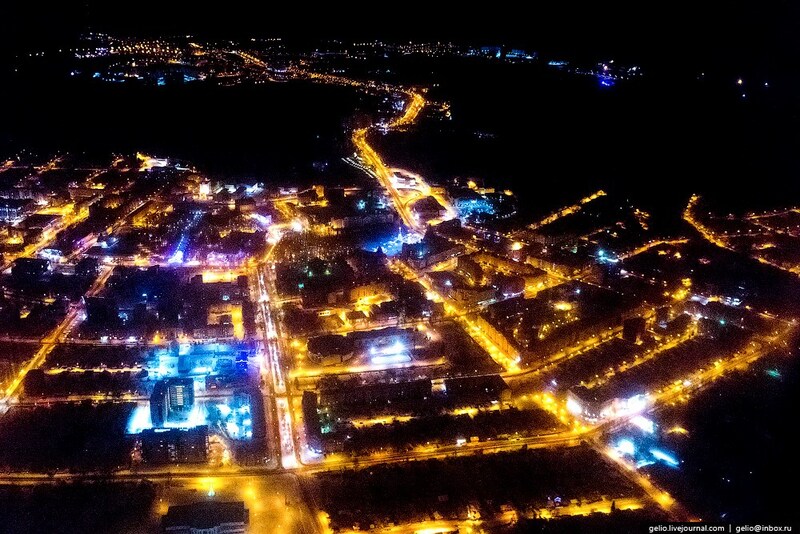 Khanty-Mansiysk is well lit at night. Church of the Resurrection. 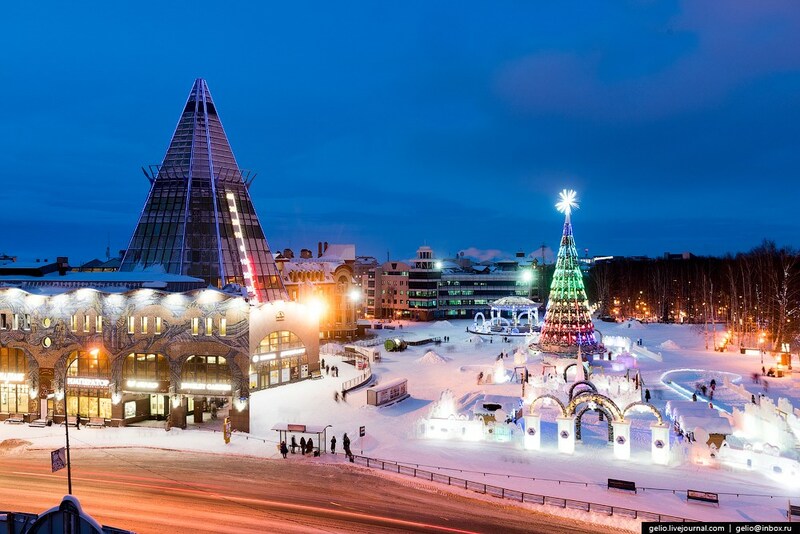 The height of the bell tower – 62 meters. 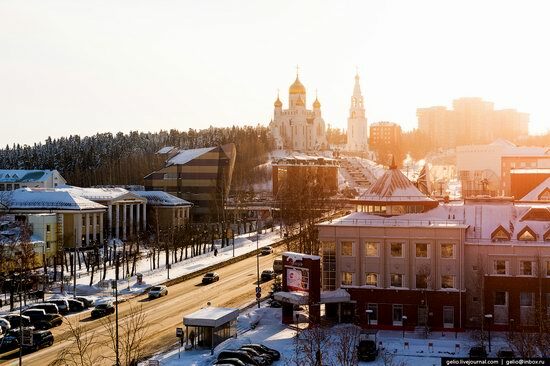 Chekhov Street. 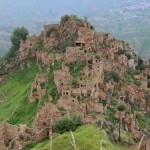 Most administrative and social facilities were built relatively recently. 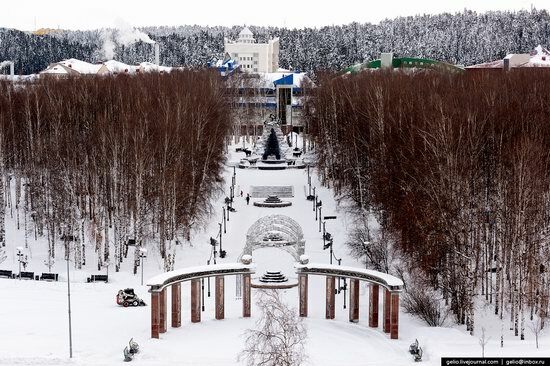 Ugra Chess Academy. 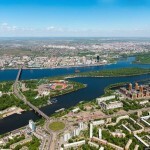 In 2020, the World Chess Olympiad will be held here. 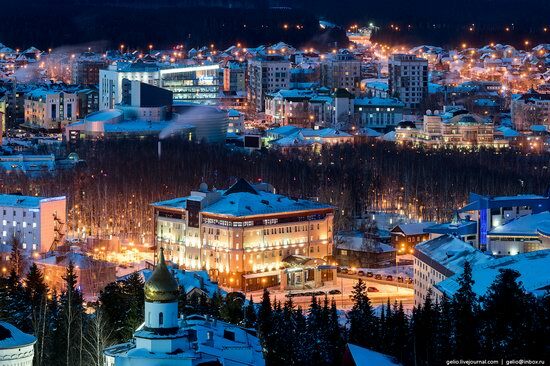 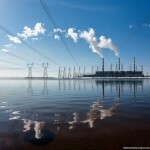 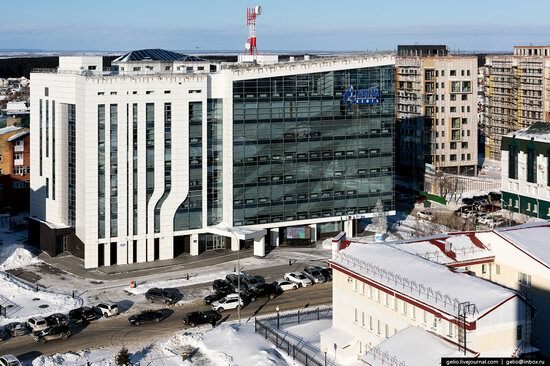 The main source of the budget of Khanty-Mansiysk – the taxes of large enterprises. 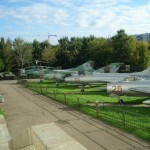 The Central Park named after Boris Losev. 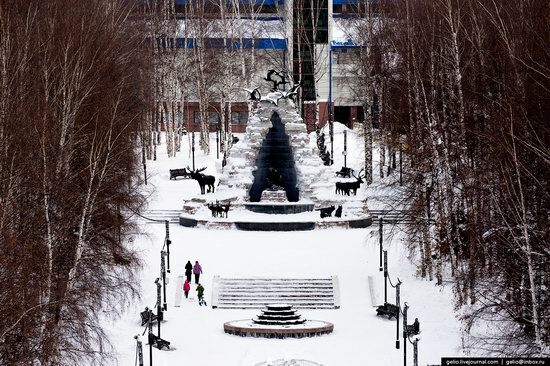 The monumental fountain “Ob and Irtysh”. 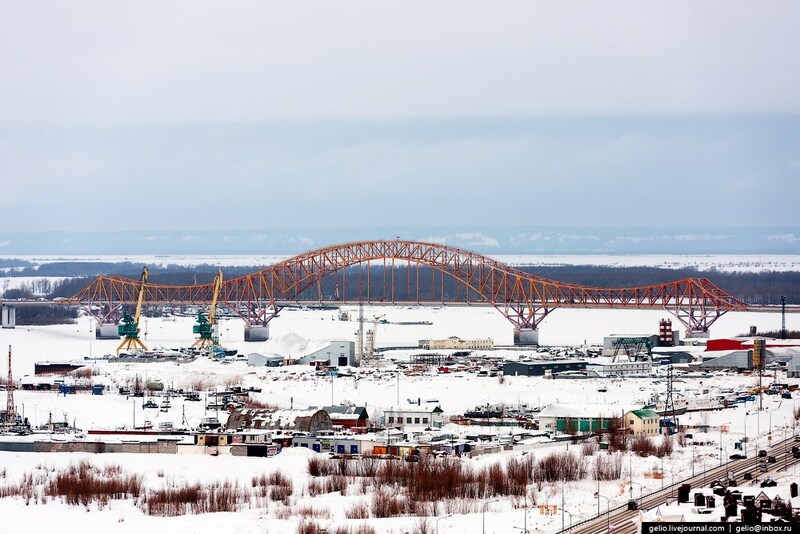 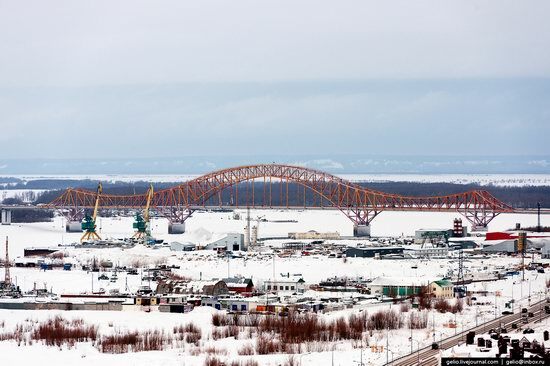 The bridge “Red Dragon” connecting the east and west of Ugra and leading to the center of Russia. One of the most popular tourist attractions – the complex “Archeopark”, Museum of Nature and Human. 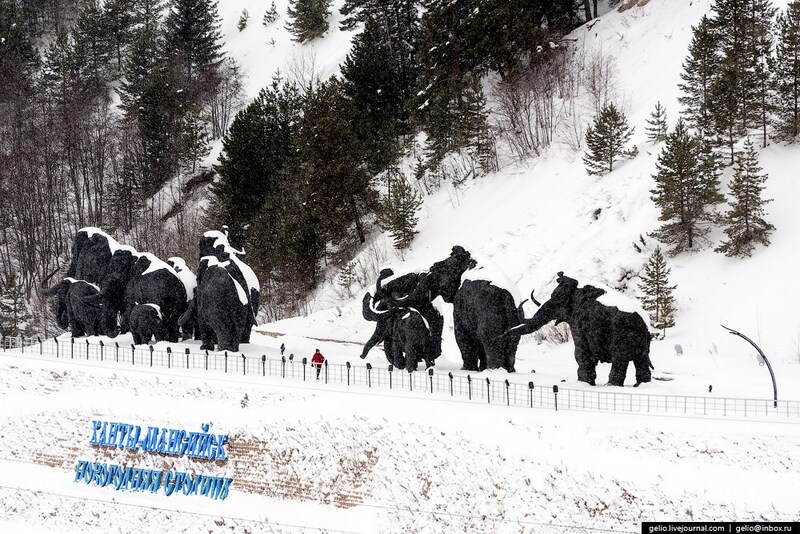 The complex includes sculptural groups depicting mammoths, cave bears and other relic animals. 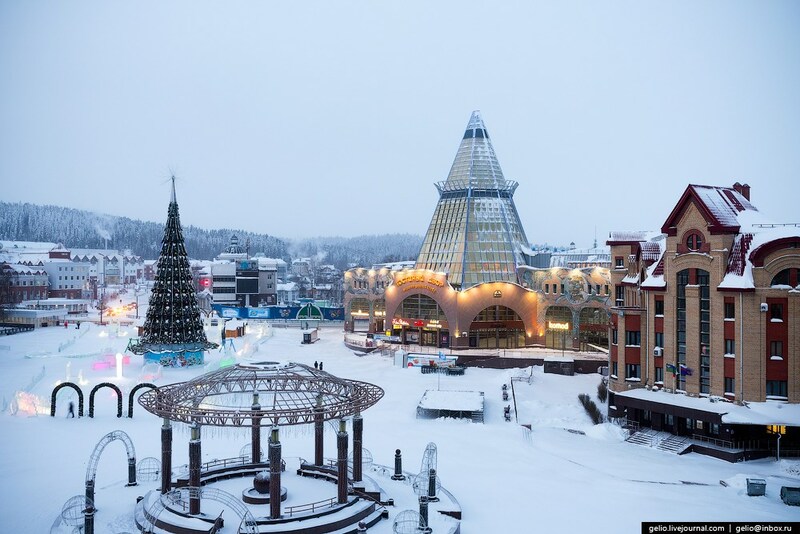 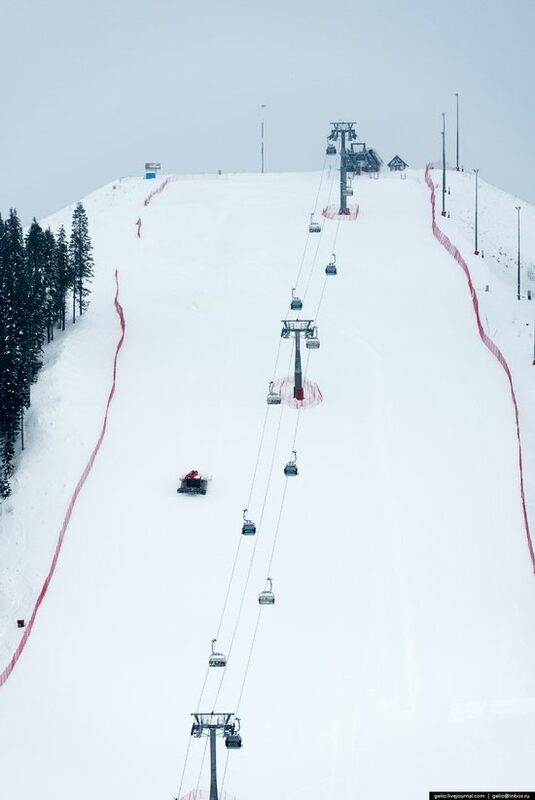 There are several ski slopes in Khanty-Mansiysk. 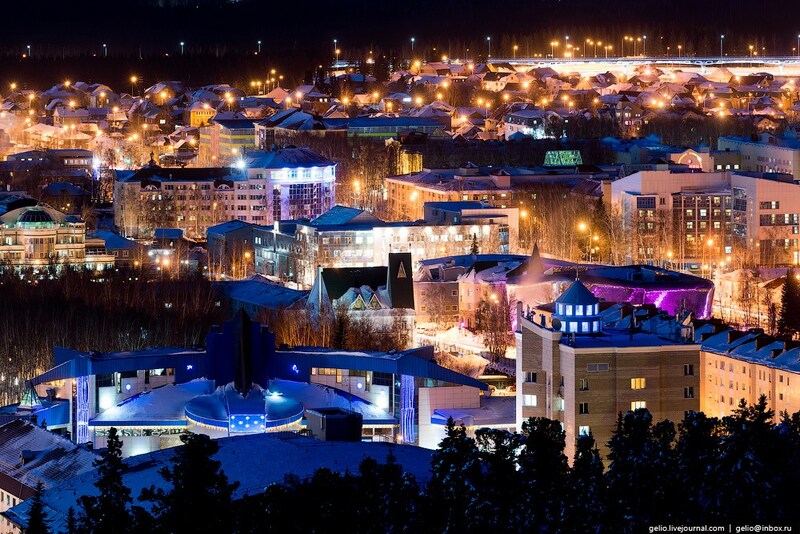 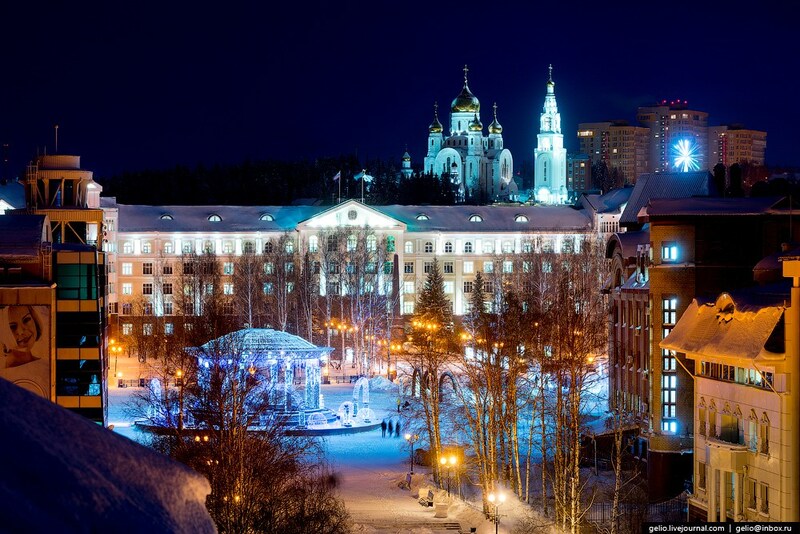 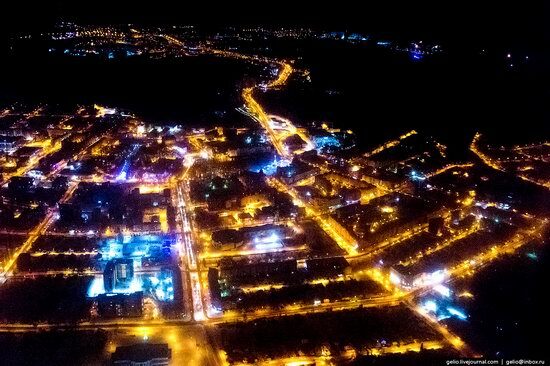 Khanty-Mansiysk is one of the most illuminated towns in Russia. 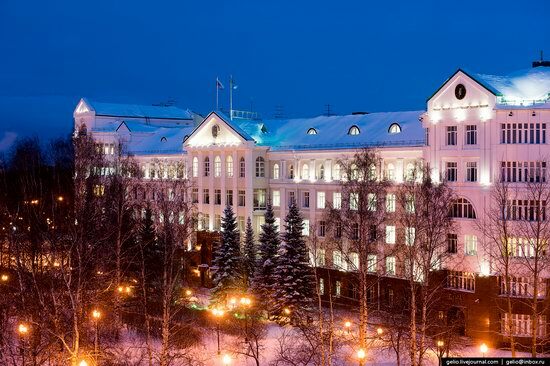 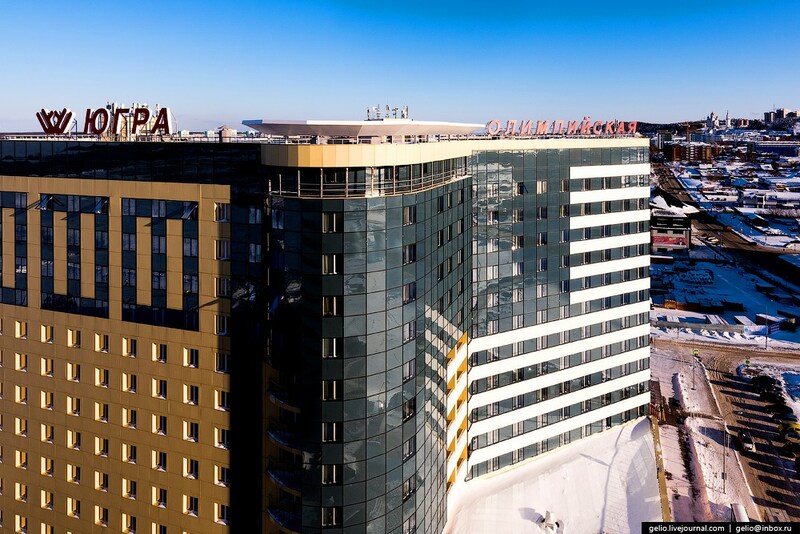 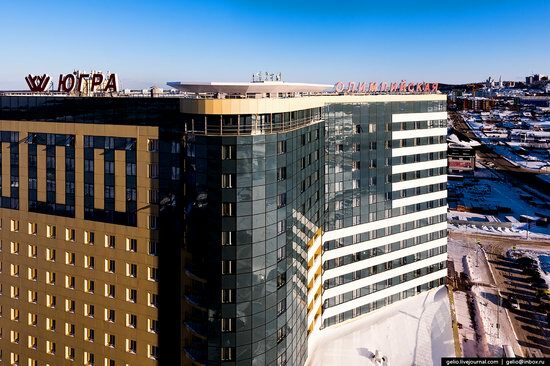 “Olympic” – the largest hotel in Khanty-Mansiysk.